Plant-based shrimp is perfect for any occasion. Shrimp everyone can love! We make shrimp from plants! Sustainable plant-based shrimp that it is made entirely from algae and natural ingredients only, with no animal (or sea animal) products. It is Vegan, Vegetarian & Kosher! 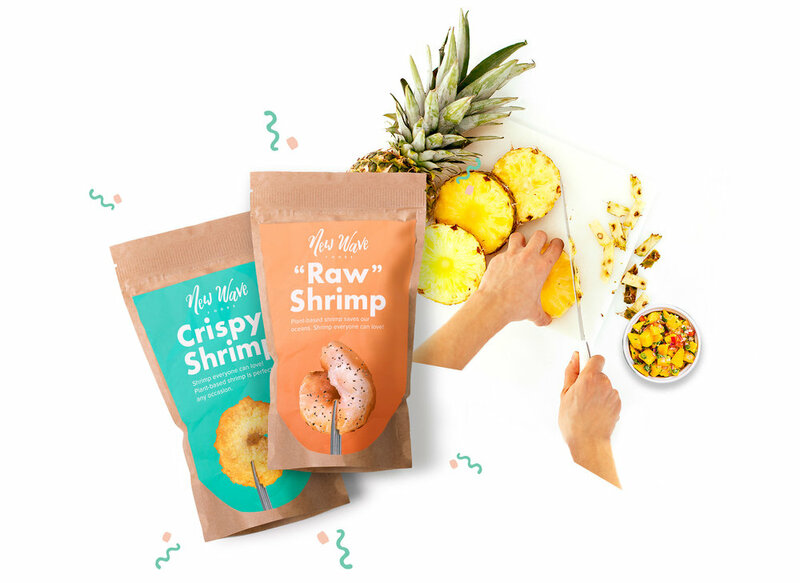 Dominique Barnes & Michelle Wolf co-founded New Wave Foods in the fall of 2015... since then, they've been working in the Bay Area to perfect their first product: an algae- & plant-based shrimp. By choosing New Wave, you make a better choice for the oceans with every bite. © Copyright 2019 New Wave Foods Inc.